Chrono Tales Massive Update Sneak Peek!! Cold Ice blended dessert will appear at any scene at certain time, after team accepting challenge will get rich rewards. Login daily to easily get reward, and there’s still have chances to activate super high value of giftpack, don’t miss it! 1. Before getting“Get Better”title, the competition point will not decrease if lose. Sing of Star, open audition of Chrono Voice is coming! After the audition ended, will held the Qualifying Match and Final Match of all-server, don’t miss out! 1. Budokai has new added a bulk of battle badge, use to prove the team members that given great contribution in Budo battle: Godlike, Full Blast, Killing Spree, Light of Healing, Hold the situation, and others. Seeking the exclusive honor, and who’ll be the MVP? 5. Able to build bedroom, pet room, storage, production room, and other building. Different building has different function, check the details in game! In CT is able to have your own friend moment as well. Everyone can enter friends moment through personal space to share your daily life, love experience, and also able to comment or like friends moments. The most important is you can also find a partner to play game together! 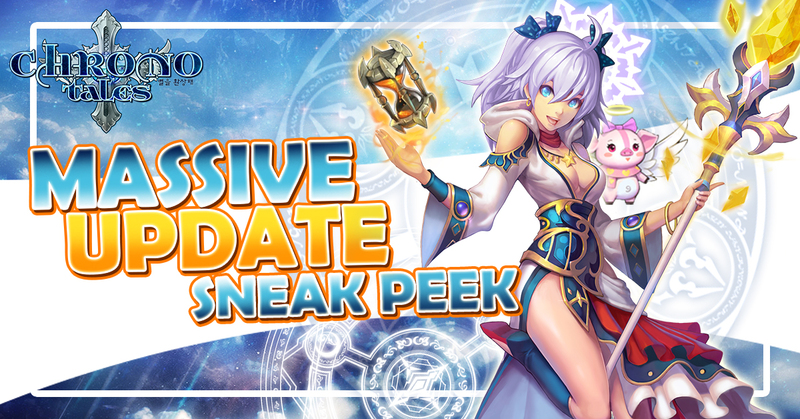 At the same time, will release higher lv of enhance lv, check the details from game! We’re looking foward to hearing your feedback once you’ve had a chance to test these change & update. Thanks again, and happy playing!